The classic novelty item! 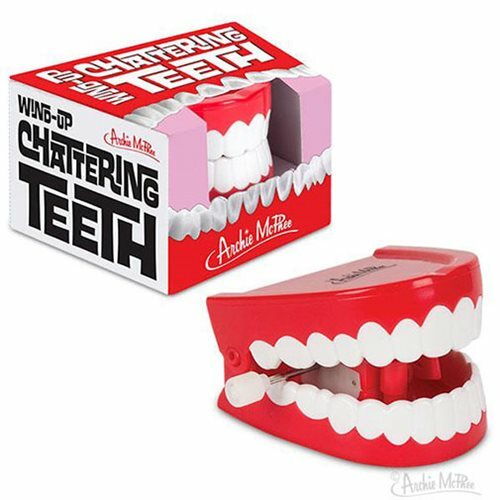 Wind this set of cheerful chompers up and then set them on a flat surface. They'll move and chatter like a pair of dentures that just escaped from a dentist's office. A funny way to indicate that a meeting has gone on too long. Each set of teeth is 2 1/2-Inches x 2 1/2-Inches x 1 1/2-Inches. Made of plastic. Illustrated box.